Microwave safe bowl Step 1: Melt shea butter and white beeswax until liquid. If melting ingredients in the microwave, give the mixture a quick stir after 2 minutes. Want to use our labels? Print them here. I think that sounds like a great idea. It will still be great if you lessen the beeswax quantity. Have fun with the recipe and make it your own! My sister wants me to make her some 🙂 But she wants a fragrance (a blend) with vanilla in it. Will a FO with vanilla turn it brown? (Like it does in soaps) Can you use vanilla color stabilizer in a recipe like this? Yes, any fragrance that contains vanilla has the potential to turn the product brown. Since you’re using such a small amount in this recipe it shouldn’t discolor too much (depending on the fragrance). 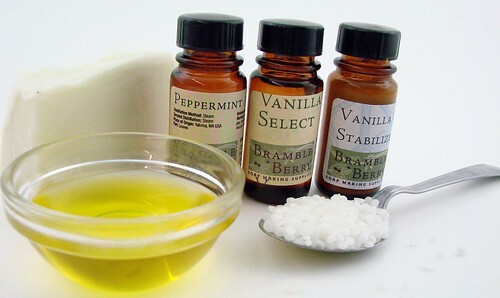 The Vanilla Color Stabilizer is great for soaps but doesn’t work on other toiletry products. 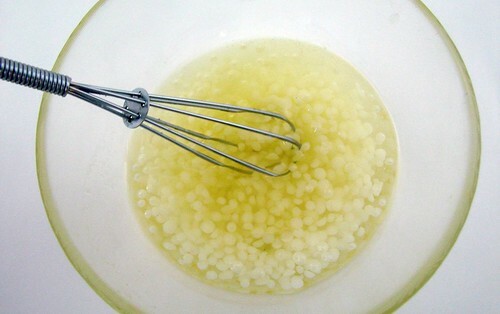 I used jojoba beads for the first time tonight in the foot scrub. How are they supposed to react? I assumed they would dissolve and leave the jojaba oil benefits behind, but they didn’t. They created a sand like substance that wouldn’t rinse off! Is this normal? Did I use it incorrectly? 2) If I can use a FO do I need to add more or less or should I do it at the same amount? I usually find EOs to be stronger, so I was wondering if I should add I few more drops of a FO (if I can substitute). I made all three for my mom and sister they were a huge hit!! Thanks for posting the recipes. 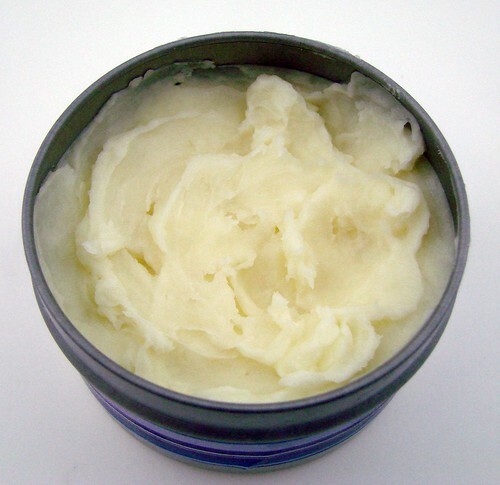 Do you have a recipe for any sugar scrubs, I have tried them before with marginal success! :) Also, I hear a lot about whipped soap, how do you make it? I’d like to try. I don’t have any jojoba oil. Could I sub with something else like sweet almond, castor, or avocado? I’m going to give this a try tonight! I need some foot pampering for myself! This is such a wonderful idea for Mother’s Day. I must say I am intruiged to create this for the guys, well my guy! If it’s too oily for your preference (and yes, it’s totally oily and heavy – I put on socks after I use it), you could do Tapioca Starch Powder to help absorb the oiliness factor. Use it at 5% to start. It helps to impart a dry powdery feel. Is there anything you can add to help with the oil/slipperiness? (is that a word?) I’m anxious to make it. Thanks!! I can’t wait to try all three Mother’s Day recipes. Thank you once again for sharing such great recipes/ideas. Great! This will definitely be in the mother’s day package! Yes, you can definitely use Yellow Beeswax. I used white because it made my final product just a little bit more white as a final product but yellow beeswax can easily be used. Looks so easy! Can yellow beeswax be used as well? I just have a lot on hand and would love to use it! This looks fabulous – think I’ll make it up for myself tonight!